With the celebration of Memorial Day in the U.S. behind us, summer is preparing for her grand entrance — and with her, the anticipation of many outdoor adventures are on the horizon. Now’s the perfect time to put together an herbal first aid kit — wouldn’t you say!?! During this month of May — through our series “Creating a Kitchen Pharmacy” — we have been learning that herbal remedies, unlike commercially-prepared products, require some planning and foresight. By starting your preparation now, you’ll be more than ready for those ailments that can come from family travel, vacations, and more time spent active in nature. So I say let’s have some fun, and wrap up this series with a bang! It is my sincere hope that the writings of the past few weeks have inspired and empowered you to seek ways in which you can care for your family right in your own home. 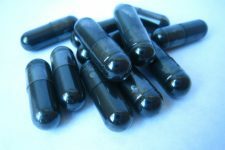 I was compelled to write Herbal Rescue as a method of further empowerment for you and your family. This little eBook contains 45 pages full of recipes and how-to’s that will enable you — from your own kitchen — to treat bug bites, insect stings, cuts and scrapes, sunburns, and other minor illnesses that may arise during the coming season. 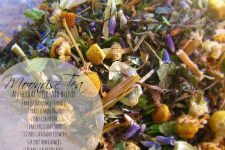 It’s a step-by-step guide suitable for anyone eager to create an herbal first aid kit. And the best part…it’s FREE! All current and future email subscribers will have access to download a free copy. 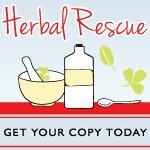 Please accept your FREE copy of Herbal Rescue: Your Guide to Creating a Homemade Herbal First Aid Kit as a thank you for subscribing to Frugally Sustainable by email. 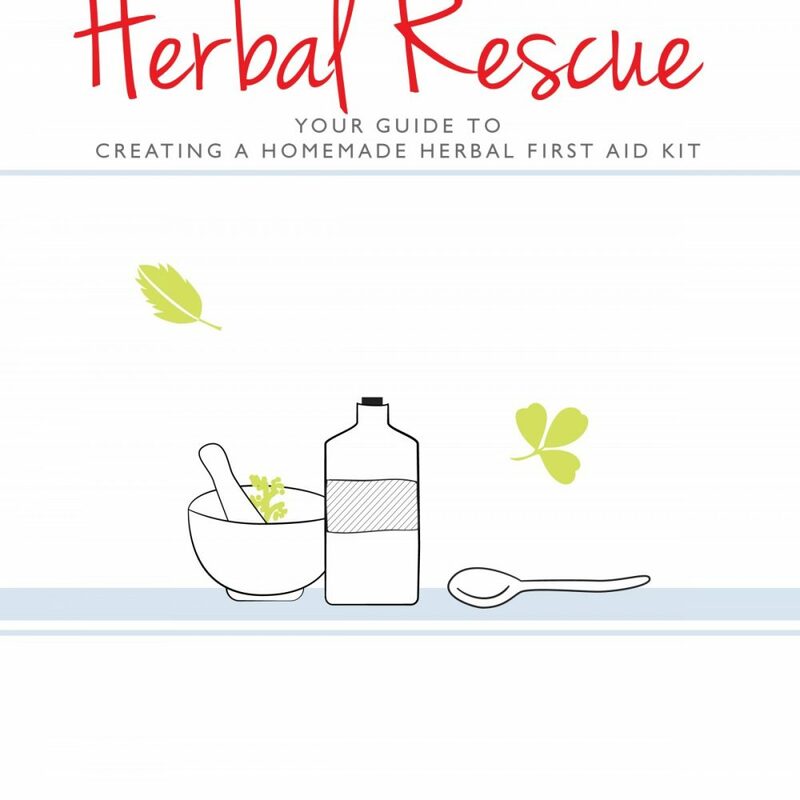 IMPORTANT: To both new and old subscribers…please note that your download link for Herbal Rescue: Your Guide to Creating a Homemade Herbal First Aid Kit will be available at the bottom of the next regular article you’ll receive by email from Frugally Sustainable. If you enjoy this FREE gift, my only hope is that you will share Frugally Sustainable with your friends and family. I can’t thank you enough for your support and your readership! Thanks so much for sharing your expertise with us – this is exactly the information I have been looking for! Thank You! I’m learning so much these days, I share your site all the time (and your shop ;-). I want to learn to use herbs medicinally but there are so many sites listing so many different things. 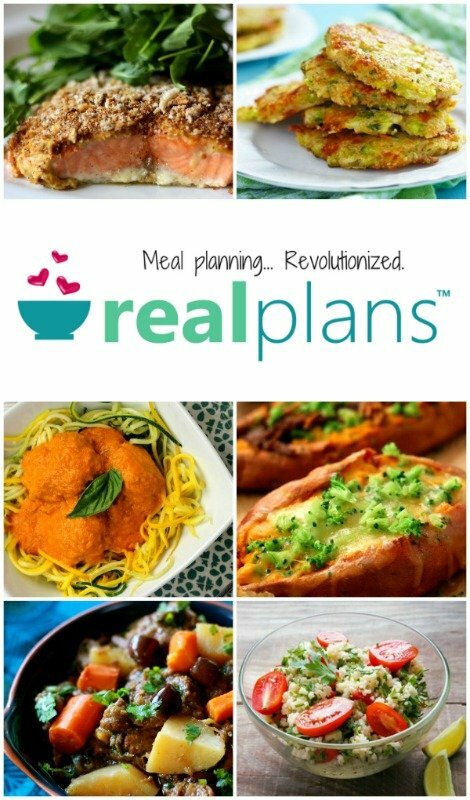 This guide will definitely come in handy and hopefully be exactly what I am looking for. Thanks so much for the work you put into this! Thank you so much for sharing all your hard work. When I scan my email and I see I have an email from you, I eagerly open it. ALWAYS great information! Thank you for sharing. This will definitely be handy for my family. Thank you! I need to get busy and get a list of herbs that you use in these remedies. So much to learn! So fun! Thanks again for sharing your journey and the knowledge you have gained. I would love to see a post on tips for keeping an herbal journal. Ive spent hours and hours handwriting notes and recipes and I hope to one day pass it on to my daughter, but I really cant decide on how to organize it for easy searching and reference. I would love a post on that, too! I am having a hard trying to organize everything as well. I subscribe to your blog through my feed reader–any way for me to get it? Wow thank you so much for this! I am excited to get a kit started and put together! Always learning so much from you- thanks for sharing all the knowledge you are learning with us! Thank you so much. This will be great. I appreciate all of the sharing you do on your blog, and I also love your blog links on Tuesdays. Thank you for all of the time you put into your blog. Thank you Andrea … looking forward to your next issue and the gratis e-book!! I have and will continue to recommend you and your blog. I also will order from your etsy store when I can. Blessings to you and yours. Thanks so much, Andrea! This was/is an area I’m working on, so the timing of your series was perfect! Can’t wait to check it out! You are so kind to share your knowledge and time with us. Thank you. It is greatly appreciated! this is awesome, I can’t wait to read it. Thank you so much for sharing your knowledge with us. Hi Andrea! Thank you so much for allowing us to have this valuable information for free! You don’t realize what a blessing you are to so many! May God lead you on as you explore and share His natural remedies with us! Blessings from Bama! Its nice to know about natural alternative, thankyou for showing me these. Its not letting me download anything. What am I doing wrong? Oh! I’m very excited about this – thank you, thank you! I’ve been mulling around the idea of putting together my own little guide like this, using all of your tips and ideas, as well as those from other resourceful & smart bloggers like yourself..Now I don’t have to! Not right away anyway. Keep up the great work. Love your posts! okay thank you, I subscribed to the e-mail and it just said “Okay thanks you will get an e-mail when there is a new one” it will be at the bottom of whatever comes next? Thanks, just got my catalog from Mountain Rose Herbs. I subscribed the other day but I haven’t ever gotten a link. This is just what I’ve been looking for. where do you actuly see the things in the first aid kit? You created an irresistible offer. I have to have the ebook! Hi, how will I get the ebook? I subscribed but I don’t know where will I see the ebook. I had to subscribe again to see if I’d get a follow up email with the link to download it but nothing yet. Sorry if I a bit tech challenged! Lol. I have been trying to download the article for days now and it will not open. Any suggestions? I was so looking forward to reading it!!!! Thank you! Hi, this sounds wonderful, I subscribed and was wondering how I get the download? I hope it’s still offered!